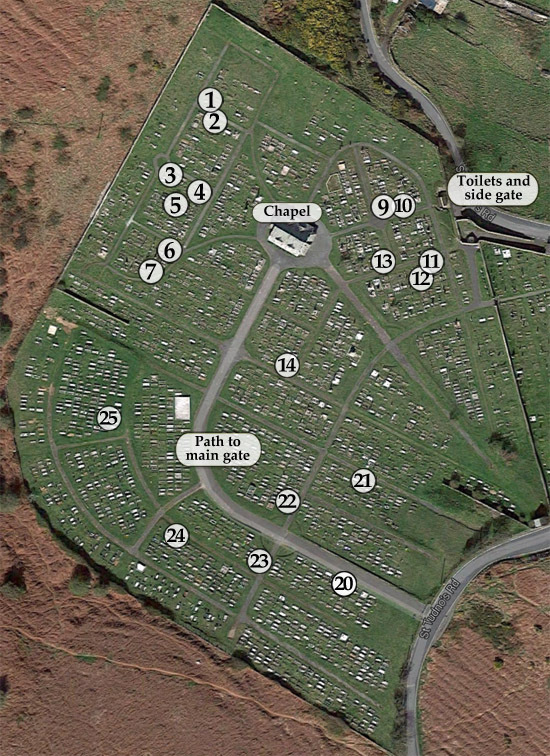 Use the map below to find the interesting graves we’ve selected at this cemetery. Click the person’s name below for details about them. The graves are grouped by their positions, in the north-west, north-east and southern sectors of the cemetery. When you go to look at the graves, please take care and remember that the ground in cemeteries can be uneven. The municipal cemetery adjoins St Tudno's Churchyard. Click here to discover interesting graves in the churchyard.